A haiku is a short Japanese poem, mostly of just three lines, often capturing the fleeting moment in a spirit of Zen like immediacy – the falling of plum blossom, the splash of a frog as it leaps into a pond. This book is a beautifully illustrated celebration of the places, people, customs, festivals and transient pleasures evoked by this much loved verse form. 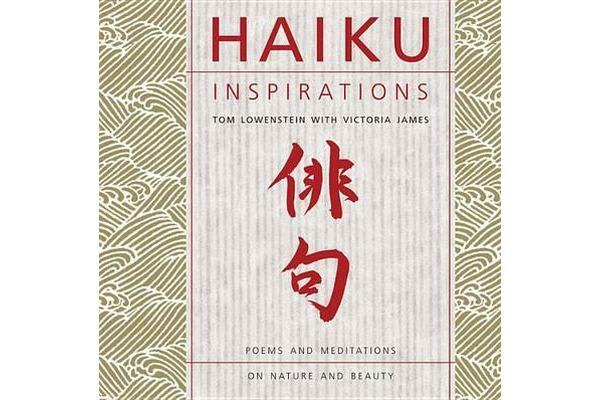 Fresh new translations of more than 50 haiku accompanied by sympathetic landscape photographs, woodcut prints and calligraphy irresistibly capture the spirit of old Japan. 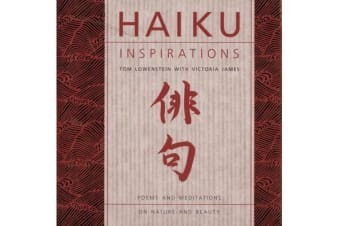 The book traces the evolution of haiku from courtly accomplishments in Kyoto during the Heian period (9th century to 12th centuries) to the work of the great haiku poets of the 17th and 19th centuries. Also explored thoroughly in the book is the cultural background of haiku – everything from Zen Buddhism and Shinto shrines to the samurai warrior code, tea ceremonies, and Noh and Kabuki theater.